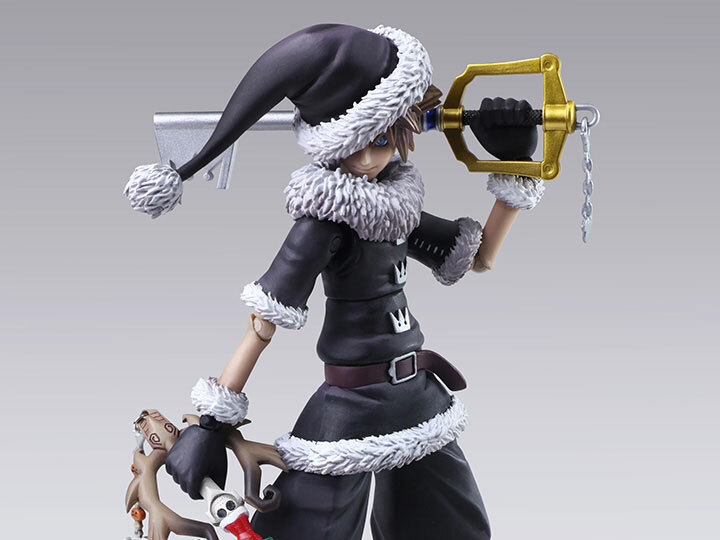 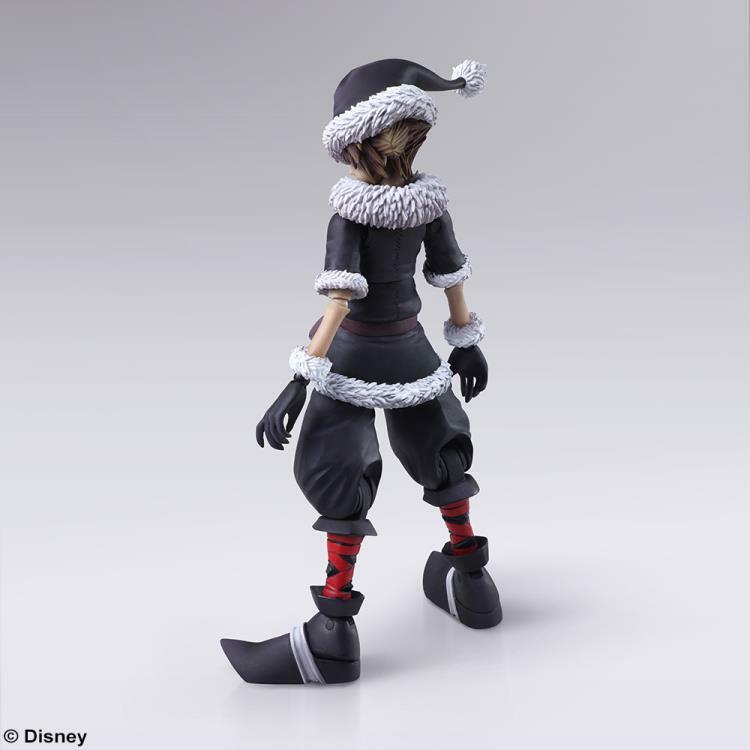 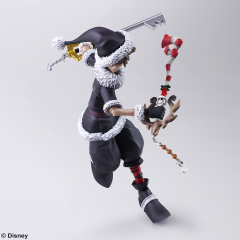 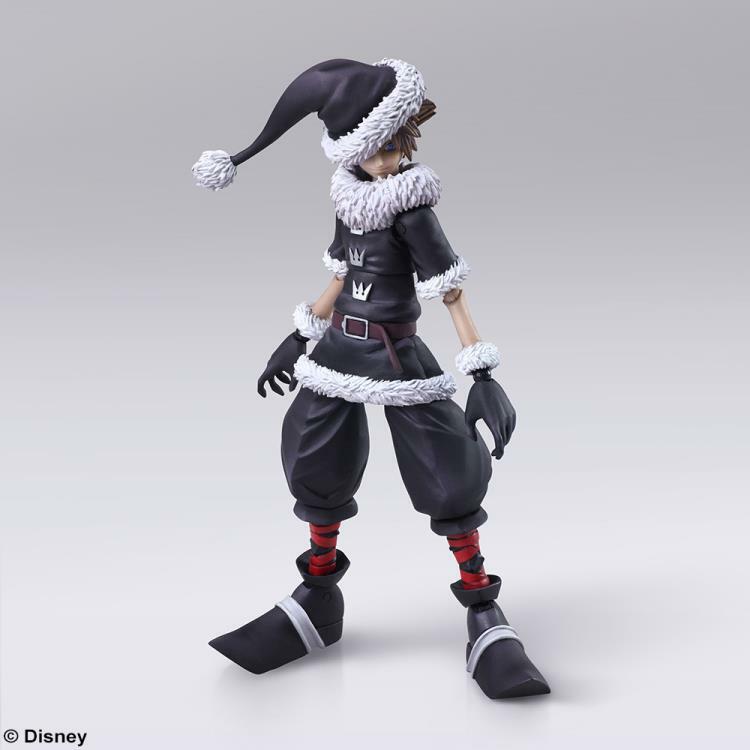 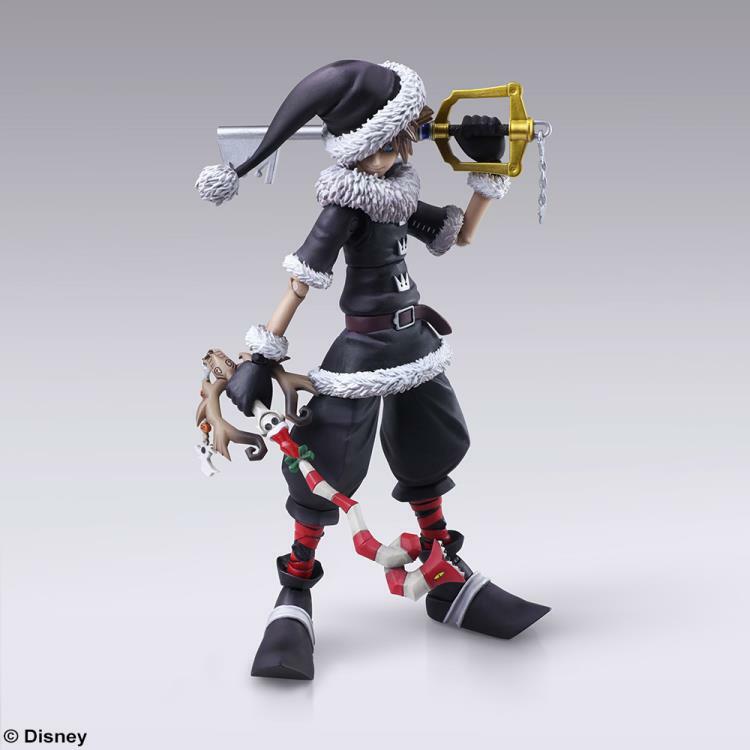 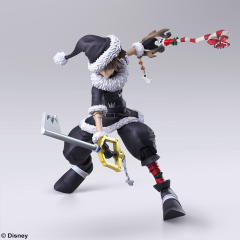 Now available as a Bring Arts figure is Christmas Town Sora from Kingdom Hearts II! Recreate his appearance from his journey through Christmas Town and bring the annual holiday to the human realm. This Kingdom Hearts 2 Sora figure features a detailed silhouette and recreates the texture of the costume and fur. 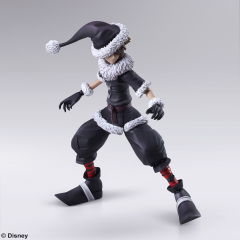 A flexible material is utilized on the sleeves of his shirt and pants, and the shape of the hat is also adjustable allowing you to recreate multiple poses. 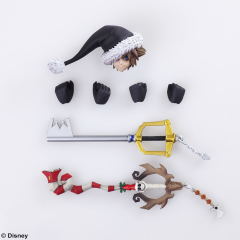 Sora also comes with a wide variety of additional parts, which includes two Keyblades and two types of hand parts.